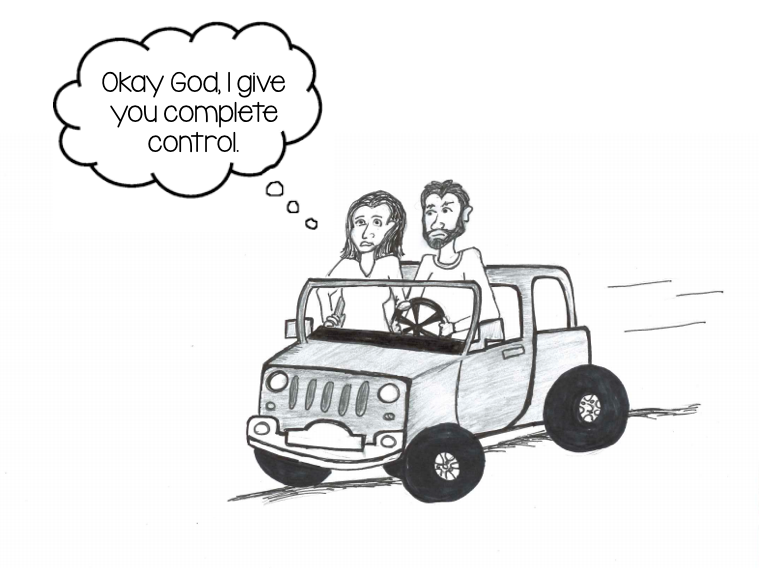 Many times we tell God that we’re giving Him control, then continue trying to drive life ourselves. It’s like asking an expert to guide you through a new city, then holding onto the steering wheel the entire time. 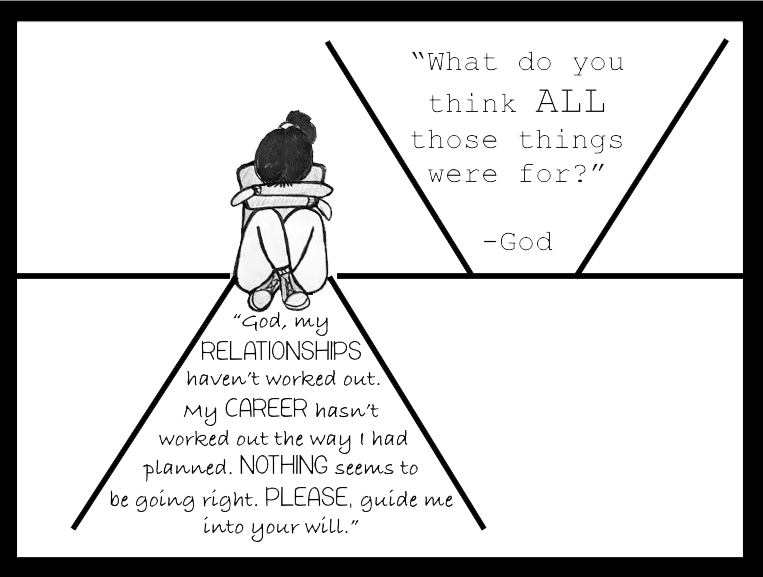 Below is an excellent portrayal of this attitude in action by my talented sister Lauren Adlman. I’m proud to introduce the first collaborative effort between myself and my sister, Lauren Adlman. 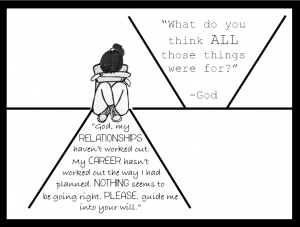 This is a cartoon reminding us that the very things we see as failures and shortcomings God is using for His perfect will, and ultimately for our good.